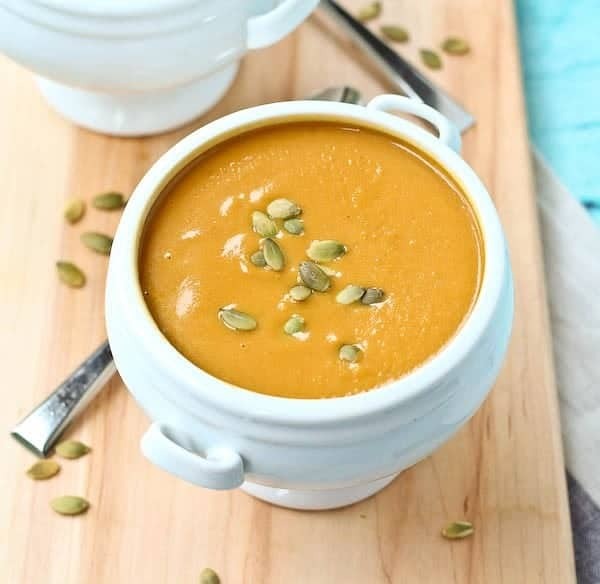 This Copycat Panera Squash Soup tastes just like the original, but I made it a bit healthier! Remember last week when I was talking about my homemade mild curry powder and I said I really truly made it for this soup? Well, here it is! We were at a church event not too long ago and my pastor’s wife asked me if I had a squash soup recipe on my site. I said yes, I have three: A shortcut squash soup (ready in twenty minutes! ), a creamy butternut squash soup with smoked paprika, and a really old post about squash soup with sage with terrible photos. But she was looking specifically for a copycat Panera squash soup. I don’t blame her – it is delicious! It’s also not the greatest for you, calorie-wise, considering it’s squash soup…which most people may automatically assume is healthy. I made efforts to reduce the calorie content a bit while still keeping the flavors rich and slightly indulgent. I think I found a good balance, but if you’re looking for an exact replica, feel free to add more butter, cream, and sugar. I won’t judge. Your skinny jeans might but we’re coming up to winter so it’s nothing a big comfy sweater can’t fix, right? RIGHT? 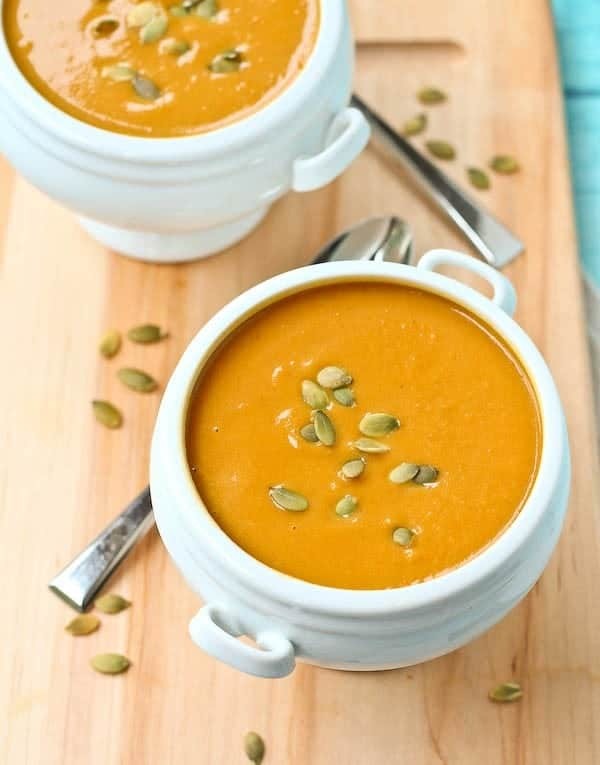 If you read the recipe closely, you’ll see this squash soup also contains carrots and pumpkin. They give it extra sweetness and depth of flavor. If you don’t have pumpkin or don’t want to add pumpkin, just use a little less vegetable broth. Remember you can always add more at the end to make it thinner but it’s more difficult to make it thicker. I’d recommend using carrots with the squash because they really do add great natural sweetness, and they help achieve the beautiful color of the soup. Plus, Panera squash soup also has carrots in it. Important note: This soup calls for two cups of apple cider, NOT APPLE CIDER VINEGAR. If you can’t find apple cider (sometimes it’s hard to find if it’s not fall), use a natural (100% juice) apple juice. If you use vinegar by accident, your soup will NOT turn out and will definitely NOT taste like Panera’s. 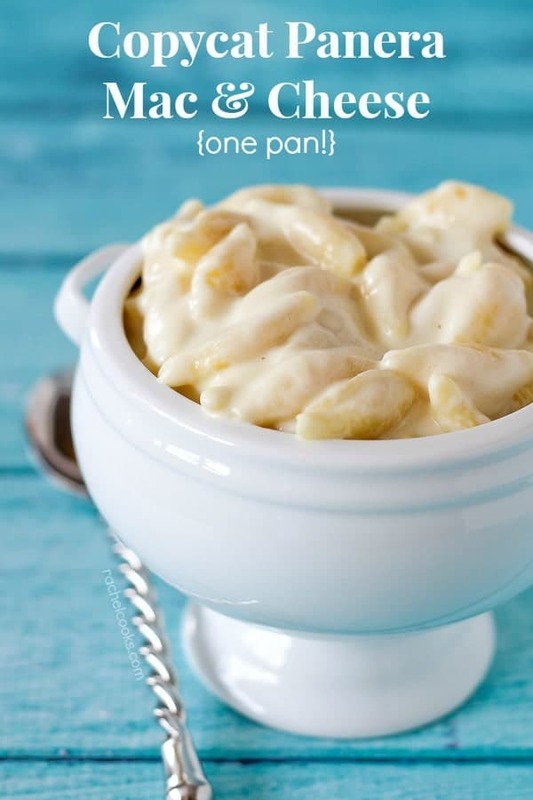 PS: This isn’t my first rodeo with making a Panera copycat – make sure to check out my Copycat Panera Mac and Cheese! People LOVE it! Watch this short video to see step-by-step directions how to make this Panera Squash Soup! In a large pot, heat oil over medium-high heat. Add onions and saute until translucent, stirring frequently. Add squash, carrots, vegetable broth, apple cider and spices. Bring to a boil, reduce to simmer and simmer for 10-15 minutes or until squash and carrots are soft. Remove from heat and add pumpkin puree, butter, cream cheese and brown sugar. 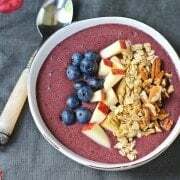 Puree with a hand (stick) blender or in batches in a normal blender. Blend until very smooth. Taste soup and add salt as desired. You may also add extra brown sugar or honey to achieve a taste closer that of Panera’s. You can also add a little heavy cream if you want a more decadent soup. If desired, add more vegetable broth to thin soup. Return to burner over medium-low heat if needed to heat the soup back up and then serve immediately. Note: If you want it to be just like Panera squash soup – add more brown sugar and/or honey to taste. Note: This soup calls for two cups of apple cider, NOT APPLE CIDER VINEGAR. If you can’t find apple cider (sometimes it’s hard to find if it’s not fall), use a natural (100% juice) apple juice. If you use vinegar by accident, your soup will NOT turn out and will definitely NOT taste like Panera’s. Verdict: I’m totally obsessed with this copycat Panera squash soup. I love that I can have it all year round now and not just on Panera’s schedule. Husband’s take: He never tried this. Squash soup isn’t really his thing. I made this and it was really good, but I have a question…was I supposed to blend JuST the solids in the blender or the solids with the vegetable stock? I blended only the solids, and put in soup afterwards, but it wasnt thick. So, wondering if I did something wrong. I blend it all together, but it shouldn’t make a huge difference the way you did it. :) Hope that helps! How essential is the Apple cider? I don’t have any not so I have Apple juice. Could I use Apple sauce? Apple juice would work! Not sure about applesauce. It would add the same flavor, but you’d have to thin it down some. I’m sure you could make it work…just not sure about measurements. This was outstanding! Made it WFPB compliant by omitting the olive oil (sauteed the onion in just water) and by omitting all dairy. I used full fat coconut milk instead of the cream cheese and cream/butter. It still tasted just like Panera’s version! This is a keeper for sure, super filling, healthy comfort food. Great recipe tweaks! I’m so glad you liked this recipe. Thanks for taking the time to come back and leave a comment! Can coconut milk be used in lieu of half and half? I haven’t tested it that way but I think it would work great! Less liquid evaporates in the Instant Pot than if you were simmering it on the stove, so it could have made the soup slightly thinner. So glad you stilll liked it! Hope you love the mac and cheese, too! SO good! I just made this and it’s delicious! I would put a little less brown sugar next time and I added a little cinnamon and nutmeg at the end, but this recipe is a winner. Thank you! So happy to hear that! Thank you for taking the time to come back and leave a comment – it means so much to me! They shouldn’t call it vegetarian if it has cream, cream cheese, and butter. I will try it. I’m not vegetarian. Hi Nancy! It is indeed vegetarian, but not vegan. Vegetarians don’t eat meat, whereas vegans avoid all animal products. I hope you love the soup! I thought this turned out so perfect. The color was slightly off from panera but the flavor was spot on. They probably add something to give it a darker orange. I cant comment on the texture, as my hand mixer broke on me when I plugged it in :'( and I mashed it the best I could with a wooden spoon, but it’s just not the same. No fault of the recipe! I had picked up some baby Italian bread loaves from whole foods and carved out a bowl so I could have the full panera experience and it was so lovely. I wouldn’t change a thing but my broken mixer! Thanks so much for this recipe! So sorry about your mixer! Glad you liked the soup, though. Thank you for taking the time to come back and leave a comment…it means so much to me! I made this tonight and it came out delicious! Didn’t add the cream and used 2 tablespoons of brown sugar. Thanks for the great recipe! I made this soup last night and it was amazing! I used hineybinstead of brown sugar..it tasted just like the Panera version if not better! Honestly the best butternut squash soup ever! Wow, thank you so much! That made my day! I’m so glad you like this recipe. Thanks for taking the time to come back and leave a comment! I’m planning on making this for a pot luck at work. Will it hold up if I make it the day before and then heat it in the crock pot on warm for the noon time lunch? Hi Sherie, I haven’t tested it that way, but I’m confident that it would work great! I love this recipe. Used the exact measurements and it was perfect my household loved it. So happy to hear that, Opie! Thanks for taking the time to come back and leave a comment – it means so much to me! Followed these instructions and ingredients to a t. Too much onion in my opinion and not enough cinnamon. I cut my onions in my food processor first to almost a puree, and measured a 3/4cup of it – this may have enhanced the flavor of the onion, I don’t know but I will be using much less onion next time. I had to add a ton of extra sugar and cinnamon to get rid on the onion flavor. Turned out good but not like paneras. And the onion still dominated even after sauteeing the onion flavor out. Just a note for those who try it, just chop the onion and go from there. I just made this tonight for a ladies night at church. I have never had Panama’s soup. This was amazing. I did tweak a few things so I didn’t have to go to the store. I used 1 cup homemade applesauce, homemade chicken/turkey stock. Used the whole can of pumpkin, and Omitted the butter and cheese., add a little ground thyme. I toasted some cinnamon sugar pumpkin seeds to put on top. I’m so glad to hear that! Cinnamon sugar pumpkin seeds on top sounds so yummy! I love this soup and often experiment with the recipe. I found adding a little orange or pineapple to the soup before pureeing is delicious! I also prefer sweet potato to the pumpkin. Either way, a great fall soup. Oooh I bet sweet potato is tasty! Loving the orange, too! Thanks for taking the time to come back and leave a comment! I just made this–we are having a very cool rainy day—so Prefect! I Have never had Penara’s–but this is delicious! Just made it this morning and had it for lunch! Delicious! I bought an emulsifier specifically for this- Definately worth it. I made the recipe exactly as stated with no changes- perfect- My 90 year old father-in-law has a treat headed his way today! Thank you for a great recipe!! I’m so glad to hear that you like it! So sweet of you to bring some to your FIL. Thanks for taking the time to come back and leave a comment! Can’t believe how perfect this turned out! I bought everything PRE-chopped, and it was easy peasy!! SO YUMMY! SAVING SO MUCH $$$$! Oh good! I’m so happy to hear that! Love your shortcut of buying pre-cut! I haven’t heard yet but I think it would work really well! Let me know if you try it! I did not get a chance to make the recipe here as of yet! I did, however, have a container of Oprah’s oh so good squash soup left-over from a sale I scored along with a coupon. I am not crazy about Oprah’s version, so I needed to doctor it up! 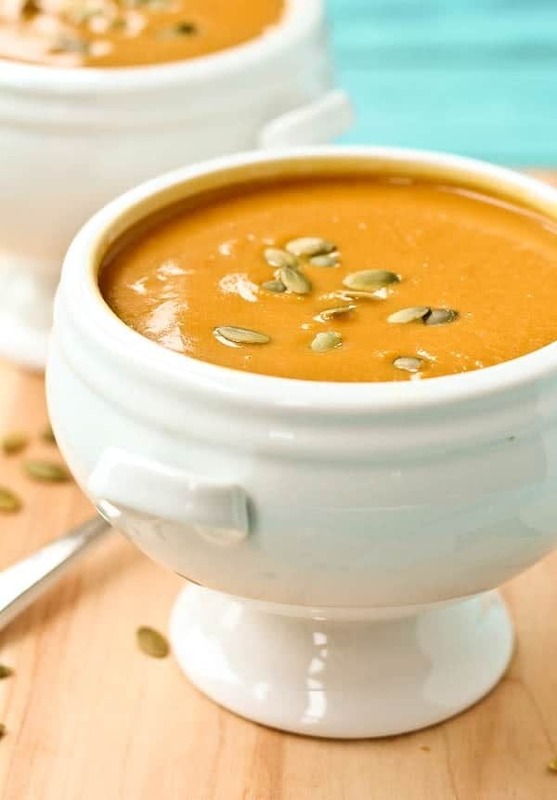 My favorites are Panera, and even more so, a local grocery chain, Market Basket/Demoula’s in Massachusetts, puts out an Awesome Autumn Squash Soup, my fave. Since I’m home sick today, I only have the left-over Oprah’s soup and went searching the internet for spices to add to suit me better. I came across this site. This is what I did! I added a bit of pumpkin pie spice, cayenne pepper, artificial sweetener, salt and a bit of CoffeeMate Pumpkin Creamer. NOT SO BAD! In a pinch! Yes, embrace being flexible! This soup is delicious! I’ve made it several times and my husband and 3 teenaged boys gobble it up. So nice on a chilly day! Only change/addition was to add freshly ground WHITE pepper. Oh, and I substituted half and half for the heavy cream because I had it on hand. So glad you liked this recipe, Linda! Thanks for taking the time to come back and leave a comment! Wow, what a wonderful tasty panera soup. I am going to add this recipe to my neighborhood ‘Diner on Monday’ cooking day. I am looking forward to try more of your recipes. Thanks a lot. I’m so happy to hear that you liked it, Erik! Thanks for taking the time to come back and leave a comment! It’s perfect! It’s yummy! I made it! I made mine dairy free. I substituted the butter and cream cheese with vegan butter and vegan cream cheese. It tasted the same as Panera’s. I like also that you don’t have to roast the vegetables before you actually make the soup. Thank you for the recipe. I’m so happy to hear that you liked this recipe! Thanks for taking the time to come back and leave a comment and your feedback! Hi Holly, I’m so happy to hear that! I’m glad you liked it – thank you for taking the time to come back and leave a comment! What do you believe the conversion for the squash would be from chopped to puréed? I’ve already prepared mine from the garden but want to try this recipe. Thank you! I’ve never used pureed squash for this recipe, but my best educated guess is that you’d want to use about 3 cups of puree. You could always add more puree or more seasonings once it’s all mixed together based on taste. Soup recipes are fairly forgiving so I think it will turn out great even if you’re not perfect on the measurements. I’d love to hear what you end up doing if you have time to come back and let us know how it turns out! I’ve had Panera’s soup, and this was so good it made me forget that Panera’s was my favorite. I’ve made this about three times now. About to make it again. My family loves it. Simple to make. I’m going to substitute an apple for the apple cider since I forgot to get it. I’m sure it will be great! Oh I’m so happy to hear this! Thanks for taking the time to come back and leave a comment, it means so much to me! Great idea to use an apple! Apple juice would work – I know apple cider is sometimes hard to find when it’s not fall. I found Panera is autumn squash soup about three weeks before it was discontinued for the season. I was so happy to find your recipe. I made this soup yesterday and was absolutely astounded at how wonderful it tastes and how like Paneras it was. Thank you thank you thank you ! Oh I’m so happy to hear that! Thanks for coming back to share your thoughts – it means so much to me! I LOVE this soup. It tastes JUST like Panera. It’s my go to favorite now! I’m so happy to hear that, Becky! Thanks for taking the time to come back and leave a comment! Could I use this recipe to make the soup in a crockpot as opposed to on a stove top? Would you recommend any omissions or additions if prepared that way? I haven’t tested it that way but I think it would work great! I would put everything in except the butter, cream cheese, and brown sugar and put those all in right at the end. Also if you plan to add heavy cream, add that at the end. Thanks so much! I’m going to try it for meal prep next week! Sweet but bland, would not recommend, will not make again. Sorry to hear you didn’t love this recipe! Did you follow it excactly? So many people love this one! Great recipe. I had never had butternut squash soup til last month at Panera. This is a great copy. Yum! I’m so happy you liked it, Donna! Thanks for taking the time to come back and leave a comment! Can you make a day ahead and reheat? I tried this for the first time and the recipe is so good. I have tried other recipes for Butternut Squash Soup previously and they did not turn out at all. This one did. I did add more pumpkin as I love pumpkin and more of the other spices recommended to desired taste. I also replaced the cream cheese with fat free cream cheese, used Splenda brown sugar and a bit of fat free half and half. It is creamy and the taste is very flavorful. I will be making this again for sure. Thank you! I’m so happy to hear you liked this soup! Thanks for coming back and sharing your modifications. I appreciate your kind words! Just made this soup and while it’s not ‘exactly’ like Panera’s, I think it comes pretty darn close and very yummy. I’m so excited to continue making this in the future. Thanks! Thanks Kristen! I’m so glad you liked this soup. Thanks for taking the time to come back and leave a comment! This is my second time making this recipe and it does not disappoint . I spruce up with corn and honey and it is spot on. I love the idea of adding corn! Very good. Frozen sliced carrots and butternut squash used but carrots didn’t blend as well with immersion blender, a few big pieces left. Used 1 cup cider and 4 cups veg broth, plenty. Did use a full cup of pumpkin puree. Madras curry powder must have lost it’s punch as I had to add quite a bit more. Didn’t have pumpkin seeds but did add toasted coconut chips, which tasted great. Will make again. 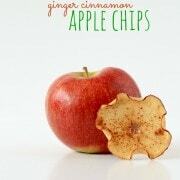 Love the idea of using coconut chips! Sometimes carrots can do that if they don’t get cooked until they are super soft. Glad you enjoyed it! Most people love this recipe! Could it be you mismeasured something along the way or omitted an ingredient? I thought I put five stars! Wonderful! I put an extra spoonful of pumpkin to thicken it. I used a scoop of Greek yogurt as well. I did not need extra sugar or any honey. I just wish I had the seeds to put on top like they do! I’m so glad you like this recipe as much as we do! You can buy the seeds at the grocery store or online! Thanks for taking the time to come back and leave a comment – means a lot to me! Hi Rachel, Thanks for sharing this with us! I obsessed with this soup recently, but I know to make it delicious, Panera adds some extra stuff in it. I tried it tonight with apple juice, the color looks like the same as Panera’s, but it is quite sour. I did not put apple cider vinegar. Do you know why? It isn’t overly sweet as written – I don’t eat a lot of sweets so to me, it doesn’t take much to make something seem sweet. You could try adding more brown sugar or some maple syrup to get it to the right taste for you personally. Thank you for this WONDERFUL recipe! I made it for Thanksgiving and it was a huge hit. Followed the healthier recipe and definitely didn’t need to add the optional cream or extra sugar. I’m so happy to hear that! Thanks for taking the time to come back and let me know – it means so much to me! I have made this soup twice now. The first time I followed the recipe and added t’s bit more sugar, pumpkin puree, and butter to suit my taste. I did use a Greek yogurt and cream cheese blend. Absolutely delicious. It has saves me money since I didn’t go to Panera when I made this. This has become one of my staple recipes. Tastes nothing like Panera’s- more than disappointing because I made it tonight for Thanksgiving dinner tomorrow and it definitely won’t make the cut in my family! Please please don’t tell people it tastes like Panera’s . I cannot serve this tomorrow. Perhaps you got mixed up with the recipe? So many people love this one! You didn’t use apple cider VINEGAR did you? I am making this for thanksgiving (a big group) so was going to use whole butternut squash, roast it and scoop it out. If I do that does it alter the time that it should simmer with the carrots? Wasn’t sure what your recommendations were? Hi Colleen! I would saute the carrots with the onions to give them a head start and then simme just as long as you need for the carrots to soften. If you cut them fairly small, it won’t take too long, but you want them to be nice and soft so that they puree with the rest of the soup when you blend it. You can put the squash into the soup when you normally would in the recipe. Enjoy! Thanks so much, I will give that a try! Excited to try the soup!! :) I had one more question, how many oz is your serving size based on? My nutrition information isn’t calculated that exactly since this recipe size can vary a lot based on size of the squash, carrots and how much broth you use in addition to other factors. It’s for roughly 1/8th of the recipe. Sorry I don’t have a more clear answer but things vary a lot based on how the recipe is prepared. Ok great that helps! With the additional cream if desired how much do you recommend adding if you wanted to add the cream? For the whole pot, I’d start with 1/4 cup and go up from there based on taste and preference. Hi, I didn’t read through all of the comments, but I wondered if anyone recommended pairing this soup with anything. My personal serving size doesn’t allow for anything else, but my children and guests who like it but not enough for it to stand on its own require me to make something to go with it. Any suggestions for lunch or a light dinner? I’ve never had the Panera version of this soup, so I can’t compare… But I just made this one and it is absolutely delicious!! Adding s little more nutmeg and 3 tbsp heavy cream were the only changes I made. Thanks for sharing this recipe! I made this last night, and it’s awesome! I haven’t had the Panera soup in a while and am more in love with Whole Foods Triple Squash Soup, so I can’t attest to the comparison, but I like what I made. I adjusted some things because I know what spices I like. I used 1/2 tsp of cinnamon, added a little less than 1/2 tsp fresh ginger, used 4 oz cream cheese, and also added 3/4 cup acorn squash. I also roasted the acorn and butternut squash before adding to the soup because I hatr cutting raw squash. Also omitted salt and added sugar. For me the sugar from apple cider is enough. Thanks for sharing this! Yup! There’s actually a lot of spices in the curry powder such as ginger which give it great flavor. I just made this and had to use my blender. How do i get it smoother? Its still slightly chunky? So glad you enjoyed it! Thanks for taking the time to come back and let me know! Didn’t taste like Panera’s at all. The onion was overpowering. Added extra spices, cream and pumpkin trying to make it taste better but nothing did. I’m sorry to hear you didn’t enjoy this recipe as much as most other commenters did. Perhaps you used too much onion or are more sensitive to it? Can you leave out the curry powder or is it essential to the taste? Hi! is it possible to make this the day before I need it and have it still be good? Or should I just prep things and cook the day of? This turned out great. But it makes a lot and no one in my family will eat it. Is it freezeable?? I love Panera squash soup, but I agree that it is too high calorie for me. Thanks for doing the work on this. I can’t wait to have a big bowl. Thank you! I own a restaurant and after eating Autumn Squash soup at Panera Bread I wanted to try to make it. So I googled the recipe and this came up. I made it yesterday and it was so delicious!!! I read some of the reviews first and one said that it doesn’t taste like Panera’s and they won’t be making it again. Well let me tell you this soup turned out even better than Panera’s!! It is outstanding and everyone that had it loved it too!! Just check out the reviews on Jackies Restaurant facebook page! I added heavy cream at the end and a few more pinches of brown sugar and a little salt. I kept tasting it until I got the flavor just right. I toppped it off with Papitas! Excellent!!! It’s good, however, the addition of the cream cheese I don’t think is for me. I should have tried to prior to adding. It is definitely still good, but for me personally, there is a too much of that tang coming through that doesn’t taste smooth. I also had to add a little more spice because the flavors we’re more muted…you could smell them more than taste them. And I added a little brown sugar at the end to try to balance the tang, which helped. This was an absolutely delicious butternut squash soup! I prepared my squash in the oven @ 350 for 1 hr (instead of fighting a knife thru it raw). I used unfiltered apple juice, left out the olive oil, sautéing the onion in the butter instead. The spices are perfectly proportioned! The pumpkin purée and the low fat cream cheese are wonderful thickening agents. I think that this soup is not as sweet as the Panera version, with just a hint of sweetness. This was a hit at a potluck! Thank you, Rachel, for a lovely keeper of a receipe! So glad you liked this — thank you for taking the time to write such a thoughtful comment! I agree, it’s slightly less sweet, which was intentional. Thanks again for taking the time to leave a comment – it means so much to me! Ever reheat in a Crock-Pot? Will it alter taste? It’s amazing right off the stove so far. I think that would work perfectly! Glad you love it! I reheated in a crock pot when I made it this weekend and it was fabulous! Just perfect! I used chicken broth instead of vegetable broth, intentionally since I didn’t have the vegetable in the pantry. And I did not use curry powder. Next time I’ll add just a little bit more brown sugar. Easy recipe too, except for the peeling of the squash. It really tasted wonderful. Just like Panera’s! So glad you liked it! More sugar would definitely make it taste even more like Panera’s but I try to limit sugar. :) Thanks for taking the time to come back and leave a comment! So those bowls are AMAZING! Making the soup this weekend and I am sure will be dying over the actual recipe, but in the meantime…where did you get those bowls?! I got them from Crate and Barrel and unfortunately it looks like they’re sold out! This one from WS is sorta similar though! Thank you so much!! I made the soup this weekend and it is wonderful!!! All of my guests were raving about it. Thanks for sharing all the deliciousness! So happy to hear you liked this soup! Thanks for taking the time to leave feedback! I can’t wait to try this! It looks so comforting! This soup looks so smooth and creamy!! Thanks for sharing!!! I am sorry Rachel but this does NOT taste anything like Panera Breads recipe. Too much apple juice, that is all I could taste, won’t be making this again. Hi Lisa! Sorry that you didn’t see the similarity, so many people love this recipe! Looks like a hearty and tasty soup! We just had our Thanksgiving this past weekend and I gave this recipe a try. So yummy. It is now my favorite Butternut Squash recipe. Love how you can adjust the sweetness. I also had a bit of pumpkin spice to the soup.Thanks for a great recipe! SO happy to hear you like this recipe! Thank you for taking the time to come back and leave a comment, it means so much to me. Hi I just made this soup recipe with the same ingredients as the recipe, just not exact proportions. It came out a little too sweet for me. I think it may need an acid flavor to balance it out. Anyone have suggestions on what kind of acid to use? Vinegar, lemon juice, etc. I always recommend following a recipe exactly the first time before making any changes. It’s hard to determine if it’s a fault in the recipe when you didn’t use exact proportions. With that being said, you could add a small splash of apple cider vinegar if you want some acid flavor. This soup turned out amazing! All the flavors are wonderfully balanced. So easy, delicious and comforting! Just made a batch as a trial run for an upcoming catering event. Im actally on vacation so i just bought frozen butternut squash & it came out perfect! Thanks! So happy you liked it! Thanks for taking the time to come back and let me know! I used a cashew crumble as a garnish instead of the pepitas and loved the little salty crunch it gave in the mouth around all the smooth creaminess. How much Heavy Cream, butter and brown sugar you add to the recipe? The butter is indicated in the recipe – the cream and brown sugar is up to you. Taste and season with a little at a time until you love the flavor. I don’t add any more than what’s indicated in the recipe, but it’s all about personal preference. My husband surprised me tonight with takeout tonight from Panera! Good man! I made this soup Sunday and it was delicious. I topped mine with some crumbled bacon and it was WOW WEE! I totally loved this!!! We have a lot leftover and I don’t want to waste it- can I freeze it do you think?Thank You! So glad you liked it! It should freeze great! PS: Everything’s better with bacon, isn’t it?! Excellent soup!Absolutely delicious! This soup is so good. Light and filling at the same time. I served it with country french sourdough and it was AMAZING.Can’t wait for the left-overs tonight.I did add about 1/4 cup heavy cream. So good. I’m so happy to hear you liked it! Thanks for taking the time to come back and let me know. I bet it was great with that bread! Undomestic here with a dumb question….can I make this still be yummy if I use my crock pot? If so…do I just throw it all in? I haven’t tested it that way but I think it would work great! I would put everything in except the butter, cream cheese, and brown sugar and put those all in right at the end. Also leave out the heavy cream if you plan to add that at the end. You can add more pumpkin or squash! So glad you like it! I don’t know about the Weight Watcher’s points, sorry! 5 points per serving on the current (2017) system. The soup is excellent.. I had no apple juice or cider so I chopped up a couple of peeled apples. Left out the pumpkin too. Making it again today. Thanks for the great recipe! I made this last night and loved it! My hubby did also! It was even better today! I used an acorn squash because that is what I had on hand, omitted the cream cheese and added sliced apple. It was delicious! Thank you so much! I am going to attempt this for dinner tonight. One question, I have never cooked with butternut squash (surprisingly as I am a vegetarian), do I leave the outer peal/skin on? You actually just peel and chop the squash and it cooks in the soup. Enjoy! I just made this and it is fantastic! Can’t wait to share it with friends. Such a great cold-weather treat. Thanks for the great recipe! This came out horrible. All I tasted was the apple cider vibegar. Either scale back or don’t use it at all! It taste nothing like the soup from panera. I am trying tosalvage it so I don’t have to throw it away. Very disappointed with this recipe. Hi, here’s the thing…this recipe does NOT contain apple cider vinegar, the recipe even states “(NOT vinegar)” after apple cider. I’m sorry you missed that on the recipe and I hope you’ll give it another go! Give it another go. I used Apple Cider and it was amazing. No vinegar. Just cider. This was actually my favorite butternut squash recipe and I’ve tried several. I agree. I wish people would step back and say, maybe I did something wrong. Instead of bashing the recipe, say Hi Rachel, could you help me figure out if I did something wrong? Something just doesn’t taste right. Made this for Thanksgiving tomorrow! Delish! I did add 1/4 cup half and half and some pink sea salt. Also added a pinch more nutmeg and cinnamon at the end!! Keeper recipe! Thank you!!! Love your additions, after all, it’s Thanksgiving! ;) So glad you like it! Happy Thanksgiving! HI Rachel,Love this recipe! I will definitely be making this again (and again!) I started with your version and had to use pumpkin pie spice because I didn’t have cinnamon on hand, and it still was great! Thanks for doing the research to copy the Panera version and putting it out there for us. So glad you liked it! Pumpkin pie spice is a fun addition actually! Hi, Rachel. Gonna definitely try this recipe! I was just wondering how many people does this recipe serve? Thanks. 6-8 servings. Hope you like it! This is a fantastic recipe. I think Panera’s version is too sweet, but I love the texture & flavors. I’ve made your recipe three times so far, to rave reviews from the family. Thanks so much for sharing! Absolutely amazing!!! I doubled it, but only used 4 C of the Swanson’s Vege Broth (Gluten Free :) Used homegrown pumpkins, Yummy! (and it feels good to use the pumpkins we grew)Thanks! Sounds great! Thanks for taking the time to come leave a note! Would chicken broth rather than vegetable broth be an option? That would be fine — I used vegetable to keep it vegetarian but I actually made squash soup tonight with chicken broth and it was delish. How much heavy cream do use? I don’t use it, but it will yield a creamier texture. I’d start with 1/4 cup, taste it and add more as desired. Amazing!! Exactly what I wanted!! This recipe looks very tasty. I’ve never made butternut squash soup. Will one squash yield the four cups needed for this recipe? As long as it’s a medium-large squash, it should! Thank you for the recipe! Can’t wait to make it for my daughter in-law in hopes she gives it a thumbs up for her baby shower. But I’m confused…the recipe calls for 6 heaping cups – not the aforementioned “four cups needed for this recipe?” Help, please. Hi Nancy! I hope it’s a hit, it would be great for a baby shower! 6 cups is the correct amount. I’m not sure where you saw 4 cups? Please let me know because I’d love to clarify it if it’s confusing. Overall I thought it was pretty good. I think next time I’ll leave the carrots out though, I was unsure about adding them and now I wish I hadn’t. I feel like the carrot flavor overpowers the squash a little. Absolutely delicious — just made it and I think it will be better when it cools and the spices marry up but it’s awesome already!! So glad you liked it! Thank you for taking the time to comment! 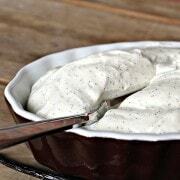 Love this recipe, made it for a fall camping trip and it was a hit!! My friend is a vegetarian and she has just made two batches and froze them in mason jars, I plan on doing the same thing this weekend!!! So happy to hear that! Love the idea of freezing it in mason jars. What is the serving size? I see the nutritional values and I want to figure up the Weight Watchers Points Plus. Sounds sooooo yummmm! Serving size is about 1/8 of the recipe – I don’t have an exact measurement for that. Hope you love it! Just made this recipe exactly as is and it is amazing! I loved it. Super delish! So glad you like it! Thank you for taking the time to comment! Hello! I just made up a big batch of butternut squash purée. Any idea/suggestions on how much purée to use in place of the fresh cubes? Thank you! Hi Allison! I haven’t made it with puree but soup is pretty forgiving. I’d start with about 4 cups and see how it tastes. Ive made several varieties of butternut squash soup. I picked your recipe to try based on the ingredients that are most palatable to me. I varied it slightly. I doubled the recipe, so I could have leftovers. I cut the curry in half, I doubled or more the cinnamon. I used the pumpkin puree, grass-fed butter, light brown sugar, 1/2 the apple cider, added 1 granny smith apple.I added a favorite, fresh ginger, 1/2 approximately 1/2 teaspoon. (I often don’t measure, and I’ll modify to taste). I am dairy free and gluten free. I dI’d not use the heavy cream or cream cheese. I used 1/2 cup full fat (healthy) organic coconut milk. This will be my forever go to butternut squash soup recipe. Everyone complimented it. Thanks for sharing! Oh no! I don’t think you’re the first one to make this goof, unfortunately. Do you think I can freeze this? I’m a vegetarian so I make different meals than my family but I don’t know if I should make a half of this recipe or not. Thanks! I have frozen this many times, works splendidly. This soup is amazing!! Absolultely love it! I do have one question…I accidentally added too much salt…what can I do to counteract that? Oooh that’s a tough one to fix. You could try adding more pureed squash if you have it on hand. Tried this recipe last night as part of our Octoberfest Dinner Party. It was fantastic! It took much more time to cook the squash to soften. Regardless the soup was excellent. Just made this tonight, and followed your recipe to a T. I can honestly say that this soup is even better than Panera’s. I cannot wait to have a bowl of this every night this week. I’m so happy I found your recipe! Oh that makes me SO happy to hear! Thank you for taking the time to comment. Enjoy the soup, and your weekend! Oh my goodness I’m such a dumb dumb ! I Am sleep deprived with a newborn and three other kiddos to keep up with and I thought I read apple cider vinegar I just finished cooking this and doubled the recipe bc a friend of mine wanted a batch. I’m terrified to taste it now. Oh no! That’s a hard one to recover from, unfortunately! Did you have to dump it? :( Hang in there…we’ve all been there! Oh no!!! I clarified it in the recipe, hopefully it helps people in the future! Had the squash soup at panera bread yesterday.what a great soup! Loved it.will try to make my own.love panera bread menu.they a are top notch place to eat. It definitely depends on what you season it with (I have a few different recipes on my site if you google squash soup). This particular recipe has a mix of both savory and of course the natural sweetness of the butternut squash shines through as well. I think you’ll love it! I just had a little bowl of this soup that I bought at my local grocery store. It was the original one from Panera. The ingredients also list ginger, tomato paste, and garlic. What an interesting combination of spices. I was so excited about this recipe! I’m glad to report that it was super easy and tasted delicious. If I were to change one thing I would maybe give an option for less apple cider and then add to taste. It was too acidic for the babies and although he had 2 servings the husband says next time I make this he would prefer less vinegar. I on the other hand loved it! Hi Valerie! I’m glad you tried the recipe. It calls for actual apple cider (the kind you drink), not apple cider vinegar. The apple cider gives a nice sweetness. I’m surprised you could stomach it with 2 cups of apple cider vinegar in it! Oh, Rachel, squash soup is one of my weaknesses! I cannot wait to make this! bookmarked, pinned, yummed and tweeted! Love how creamy and amazing this looks. Panera’s soup is way too sweet for me. This recipe is WAY better! This is great. Love the candor. Haven’t tried it yet, but definitely worth it. Question: What about those seeds Panera puts into the squash soup? What are those? How can we do the same? They are pepitas (shelled pumpkin seeds). You can see them in my photos – I included them in my recipe . I’m going for the optional heavy cream:) Yum! 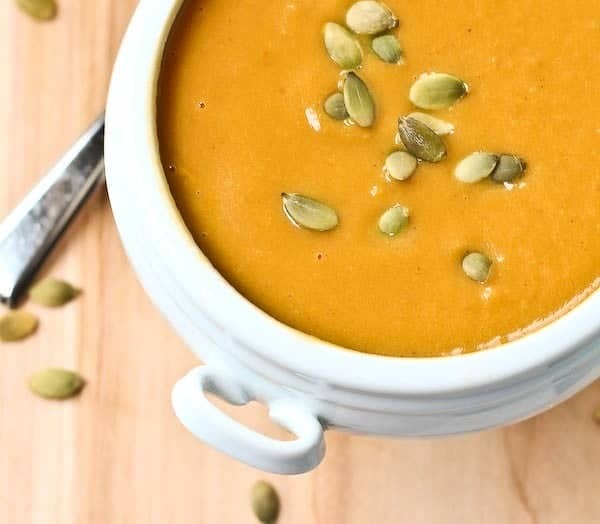 I’ve never had Panera’s squash soup, but this is a great recipe. I tweaked the amount of spices to my tastes (used more) and didn’t use the pumpkin, butter or heavy cream. I also just used an apple juice box we happened to have instead of cider so there wasn’t 2 cups worth. All that and still yummy. So, if you are a cook who’s afraid to deviate from a recipe, don’t be! This is a great base to play around with. So glad you liked the soup — and I love the changes you made. I agree – the best part of cooking is the flexibility to have fun! This was an amazing recipe!!! Way better than Panera’s in my opinion. The best butternut squash recipe ever. Thank you!!! I just made this recipe to a T and it tastes nothing like the one from Panera….it’s still good, but even with the added sugar and cream it can’t come close. Thank you . That’s good to know . I felt the same way. I’m eating it now, and while it’s good, it isn’t the same as the Panera Autumn Squash soup. I got so excited when I saw this! This is my favorite thing at Panera, and I can’t wait to make it at home. Yay! Oh goodness, this looks great. It’s finally chilly here and I’m so ready for a big giant bowl of this. Love a good squash soup for this time of year! I am sure your homemade version is so much better than the one at panera, love it and can’t wait to try it! I’m thrilled to see this soup recipe! I love love squash soup and you rated it easy on the difficult scale which is great news for me as well. We live in southeast Texas so it is barely cool outdoors yet but i’m lovin all the great soup recipes that signal this awful heat will soon be gone. Thanks a million, will let you know my family’s review. I had the Panera soup a week ago, so this is perfect! How can you make this dairy free? If i omit the cream cheese would that make or break the recipe? is there a substitute? It would change the flavor, but it would work! You could try a few pureed white beans to add creaminess without dairy or just omit completely. Let me know how it works out! I make this soup with a can of full-fat coconut milk and it is amazing! Almost like it better than with cream! I too use coconut milk and coconut oil to suit our dietary needs. This recipe is outstanding!!!!! It’s great for the rainy day freezer stock as well!! I just made this without the cream or cheese and it was amazing. Great info – thanks Emily!